Like many people, you might be heeding the widely touted advice to consume moderate amounts of red wine for the sake of your heart. But can alcohol affect arthritis? As it turns out, what types of alcoholic beverages you choose to imbibe can, indeed, influence your joint health. Moreover, scientists are finding these associations to be both beneficial and detrimental, between the types of alcoholic beverages and particular forms of arthritis. Today, we’ll discuss three types of arthritis and how a different type of alcohol affects them. The types are Rheumatoid Arthritis, Gout, and Osteoarthritis. Grapes are famous for their high levels of resveratrol, a potent antioxidant thought to help prevent heart disease and certain forms of cancer. As it turns out, resveratrol might also help to improve joint health. In a preliminary study on mice, resveratrol inhibited two types of white blood cells associated with RA. The mice also showed lower levels of inflammation and less bone erosion. A compound in grapes, known as Gallic acid, is a type of phenolic antioxidant that has the power to cut inflammation off at the knees, according to results of one study. Researchers say it does this by inhibiting the expression of pro-inflammatory genes. They also note that Gallic acid promotes an early death of certain joint cells when they begin to behave badly in rheumatoid arthritis (RA) patients. When rheumatoid-affected cells were treated with Gallic acid, the cells weakened and died. Levels of inflammatory markers and tissue-degrading enzymes also decreased, following Gallic acid treatment. The Nurse’s Health Study, a decades-long study involving more than 200,000 U.S. nurses, determined that moderate alcohol consumption could offer protection against RA. Participants who tested positive for RA blood markers showed even greater benefits. Beer drinkers also fared well, with women from the study who recorded drinking beer 2-4 times per week showed a 31% decrease in the risk of developing the disease. If you have gout or if you are prone to developing gout, you might want to avoid beer, according to the information published in the Third National Health and Nutrition Examination Survey. The study, which questioned nearly 15,000 participants on their beer, liquor, and wine consumption and compared the data with their uric acid levels, found that beer and hard liquor were associated with increased uric acid levels, with beer showing a greater detrimental effect. In contrast, wine consumption did not seem to increase uric acid levels. 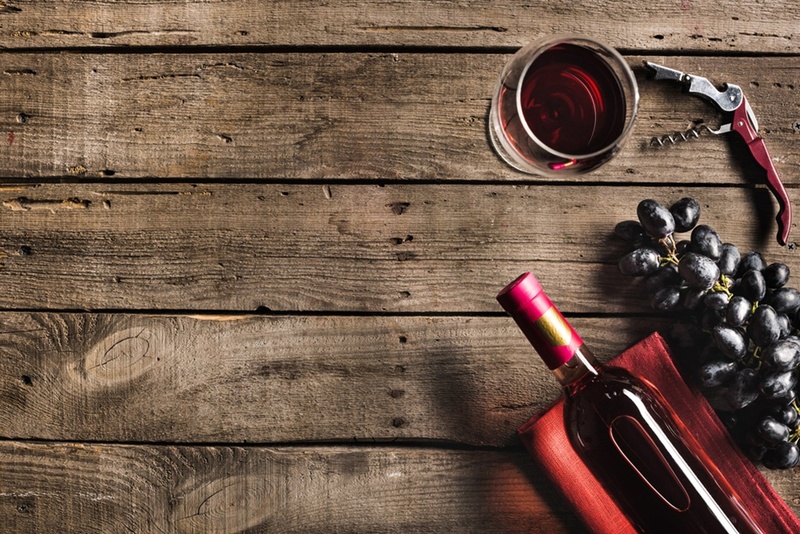 Another study sought to clear up the anecdotal evidence that wine may act as a trigger for gout flare-ups and found that wine, beer, and liquor were all associated with an increased risk of gout attacks. The risk was 1.36 times higher for moderate consumption – anything more than 1-2 drinks in a 24-hour period – and 1.51 times higher for more than 2-4 drinks in a 24-hour period. So, if you suffer gout, you should just stay away from any type of alcohol. It’s not an autoimmune disease, like RA, or a metabolic problem, like in gout; rather, osteoarthritis (OA) is your garden-variety worn-out joint disease. However, your alcohol drinking habits may also play a role as to whether you develop OA. A study on the possible connection between alcohol consumption and OA of the knee and hip found that wine drinking actually provided protective effects while beer drinkers showed an increased risk, providing another good reason to eschew the trendy local microbrewery fare and, instead, explore the offerings at your favorite wine bar in your neighborhood.